We want to make it as easy as possible for you to find out if CTC is covered under your insurance plan. The 5 top commercial insurers cover CTC as a screening test: United, Anthem Wellpoint, Aetna, Cigna, Heath care Services Corporation and many Blue Shield Blue Cross providers across the USA. Most commercial insurance providers, Medicare and Medicare Advantage plans cover CTC as a diagnostic test. This is important especially if you have a failed colonoscopy or cannot undergo a colonoscopy due to medical reasons. 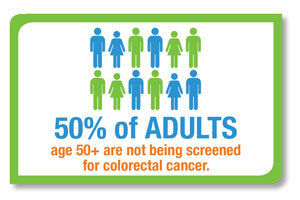 Please note that some states do not have a law requiring colorectal screening coverage. However, they do offer programs through their respective state department of health. Please enter your information below and we’ll keep you informed when we add new features. By submitting your contact information, you give permission for Bracco Diagnostics Inc., or parties acting on its behalf, to contact you with information regarding Bracco Diagnostics Inc. products and solutions, invitations to events and seminars, industry and insurance coverage updates and other notifications. You understand that the information you provide will not be given to anyone outside Bracco Diagnostics Inc. except for the agents or representatives processing this request. Copyright © 2019 Bracco Diagnostic Inc.. If you have any questions about this Bracco website that have not been answered, contact us. The content on this site has been created solely for U.S. residents. It is intended for informational purposes only, and should not be used to replace a discussion with a health care professional. All decisions regarding patient care must be handled by a health care professional and be made based on the unique needs of each patient.